Don’t let the heat wave keep you from landing that next offer. When summer temperatures are so boiling hot, most people want to be wearing as little clothing as possible, preferably at the beach. Throw on your bathing suit, slather on some sunscreen and you’ll be ready to beat the heat. 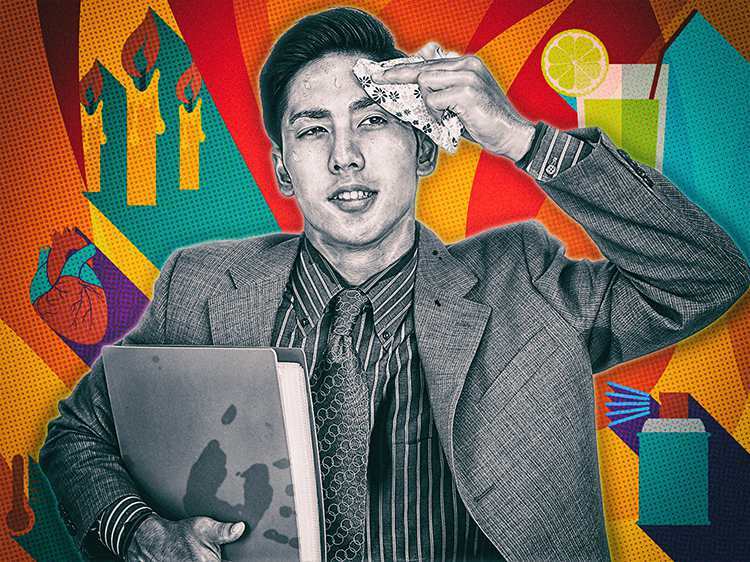 But what do you do if you have a job interview on one of those 90-degree days? Unfortunately, bikinis and swim trunks aren’t going to cut it attire-wise, and the last thing you want is to be wiping beads of sweat off your forehead the moment before you shake the hiring manager’s hand. Believe it or not, preparing for an interview during the height of summer doesn’t have be any more complicated than it would be a different time of year—after all, the interview itself may be enough to make you perspire. Follow these five pieces of advice, and you’ll put your best foot forward even when the temperature is at its peak. Rolling your windows down can sometimes be a more fuel-efficient way to keep cool, but you’ll want to have your air conditioning on full blast for this ride. Staying comfortable en route to the interview will allow you to focus on other things, like navigating your way to the office. Plus, you wouldn’t want the wind to mess up your hair. For those of you taking public transportation, Vicki recommends carrying a tote bag with a change of clothes. Aim to arrive 15-20 minutes early to your interview to perfect your appearance and polish the finishing touches. If you don’t feel comfortable using the bathroom at the company’s office, locate a nearby gas station or coffee shop and prepare there. For women, bring some oil-blotting papers or dry shampoo in your purse to avoid excessive greasiness. For men, consider using a handkerchief, or even a paper towel, to wipe off your face as well. Other necessities you might want have on hand include a hairbrush, deodorant and chapstick. It may be tempting to don your complete ensemble before you leave the house, but having your blazer on for even an extra hour could raise your body temperature a little too much for comfort. Hang it up in your car and put it on once you arrive at office. You’ll only be in direct heat for the short walk from the parking lot, and once inside most offices are air-conditioned. For women, wearing a full face of makeup can result in a sloppy, runny mess in the summer heat. Try and use less product if you can—but better yet, wait to apply it just prior to the interview to ensure that it will still be intact for showtime. Handing over a crumpled resume due to the grip of your sweaty palms is not an ideal way to make a first impression in the professional world. On a hot summer day, you’ll want to have all your papers tucked away in a leather notebook or folder to ensure that they’ll be crisp when you deliver them to your interviewer. And if you brought a water bottle, make sure you closed the lid tight, so it doesn’t leak!